The 1Pot System is easily extended so many pots can be linked to a single reservoir. Please see examples of typical layouts using 1/4″ pipe or 1/2” pipe in the image gallery. The pots & trays can be easily moved at will, if the plants grow too large they can be spaced further apart with ease. 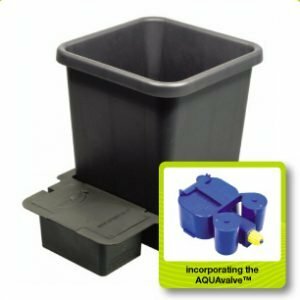 Once set up and a reservoir is filled with water & liquid feed this extremely versatile system will completely take care of all your plants needs.